We follow a simple four-step process for all our clients, both personal and business. This allows us to properly understand each client’s situation and requirements and helps us to provide the best possible advice and service. Gather all the necessary details that will help us to fully understand your current situation and requirements. This approach is vital but is often an important first step overlooked by many. Carefully analyse all information and client requirements and begin to match these with suitable products and services. Prepare a report of recommendation which is presented in a jargon free and easy to understand manner. Provide on-going and pro-active support including access to your own personal website. This is supported by regular personal contact to ensure you get the best possible service. Fees – There are fees associated with these services. At our initial meeting we will discuss them with you as well as the different ways you can pay. Everything will be transparent and we will not do anything that you have not agreed in advance. All initial meetings are at no cost to you. We believe our duty is to help our clients understand, protect and increase their personal, family or business assets. We promise absolute integrity, dedication to the client's interests and an ongoing commitment to provide professional excellence in every aspect of our advisory role. 3R is dedicated to the Financial Conduct Authority FCA principle of 'Treating Customers Fairly'. This means we are committed to ensuring all clients receive fair outcomes from their dealings with us. This is based on six stipulated outcomes set out by the FCA. View the six principles. 1)	Consumers can be confident that they are dealing with firms where the fair treatment of customers is central to the corporate culture. 2)	Products and services marketed and sold in the retail market are designed to meet the needs of identified consumer groups and are targeted accordingly. 3)	Consumers are provided with clear information and kept appropriately informed before, during and after the point of sale. 4)	Where consumers receive advice, the advice is suitable and takes into account their circumstances. 5)	Consumers are provided with products that perform as firms have led them to expect, that the associated service is of an ethical standard and as they have been led to expect. 6)	Consumers do not face unreasonable post sale barriers imposed by firms to change product, switch provider or submit a claim. 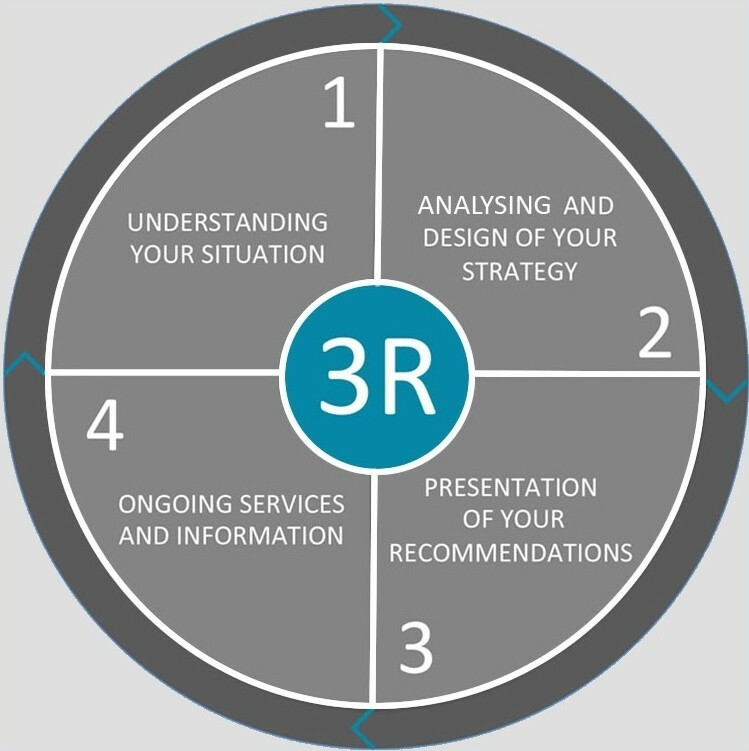 3R will do the upmost to ensure that every client dealt with receives a fair outcome based on the six definitions set out above. We also have our own code of ethics that form our business ethos when dealing with clients. View our code of ethics. 3R are committed to acting in the long term interests of our clients. To this end we have a code of ethics that underpins everything we do. 1) To act honestly and fairly at all times when dealing with clients and to act in their best interests at all times. 2) To act with integrity in fulfilling the responsibilities of our appointment and to seek to avoid any acts, omissions, or business practices which may damage the reputation of 3R and the financial services industry. 3) To observe applicable law, regulations and professional conduct standards when carrying out financial service activities. 4) To observe the standards of market integrity, good practice and conduct required or expected of participants in markets when engaging in any form of market dealings. 5) To be alert to and to manage fairly and effectively and to the best of our ability any relevant conflict of interest. 6) To attain and actively manage a level of competence appropriate to our responsibilities and to commit to continued learning to ensure the currency of our knowledge. 7) To decline any engagement for which we are not competent unless we have access to such advice and assistance as will allow us to carry out the work competently. 8) To uphold the highest personal standards.